There was plenty of headline grabbing and hand wringing yesterday following the RBA’s statement however it was straight from their long standing playbook. After a run of very weak data since December, the market was baying for blood when the RBA met to discuss monetary policy yesterday. The market has swung from expecting a rate hike to expecting a rate cut over the past three months and some commentators and economists have ratcheted up calls for rate cuts. The problem is that many of them are playing the ball not the man. This is straight from the RBA’s playbook. Why spook the horses? Everything is fine until it isn’t and when it isn’t they will act accordingly. 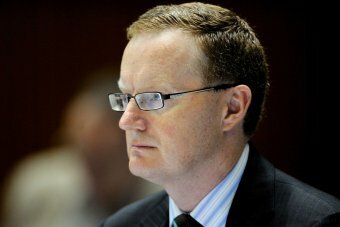 So far the RBA isn’t too concerned with the pull back in house prices with the statement saying that “the housing markets in Sydney and Melbourne are going through a period of adjustment, after an earlier large run-up in prices.” Given Governor Lowe’s penchant for financial stability, this is a welcome development. The key remains how and when this impacts the broader economy and the RBA’s focus is squarely on consumption. For now though our focus will shift to Lowe’s speech today at the National Press Club before he releases the RBA’s Quarterly Statement on Monetary Policy on Friday.